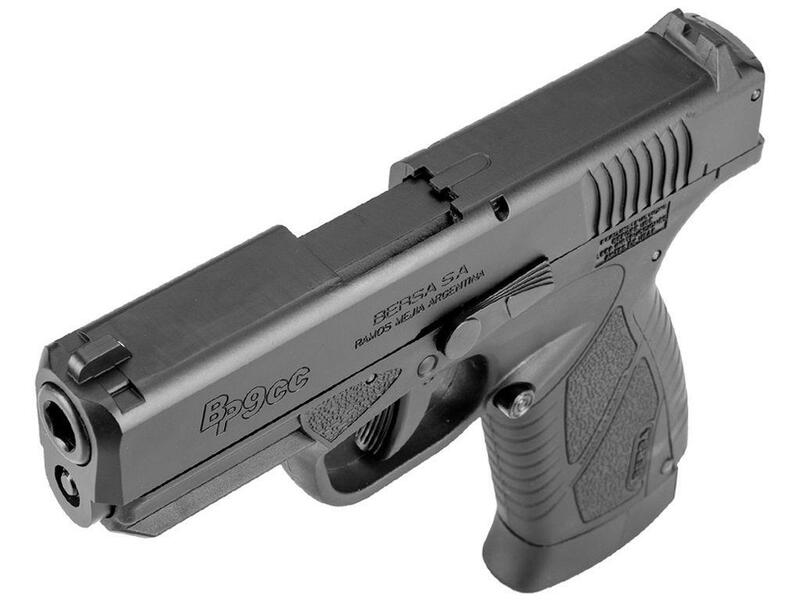 ASG Bersa BP9CC Blowback 4.5mm BB Pistol | ReplicaAirguns.ca | Easter Weekend Sale! Accuracy: I shot the ASG Bersa BP9CC Blowback Airgun at a target from 20 feet away in a semi rested position, and it performed well getting a 2 inch grouping fairly centered on the target. The sights are non-adjustable, but for me there was no real need to adjust them. My initial Chrony testing puts this gun right in the 350 fps range. Build Quality: ASG did another great job with the Bersa BP9CC, quality and build characteristics are very similar to my CZ 75 P-07 DUTY reviewed earlier. Everything that should be metal and polymer is the same on this as the original, and the fit and finish is very good in general! 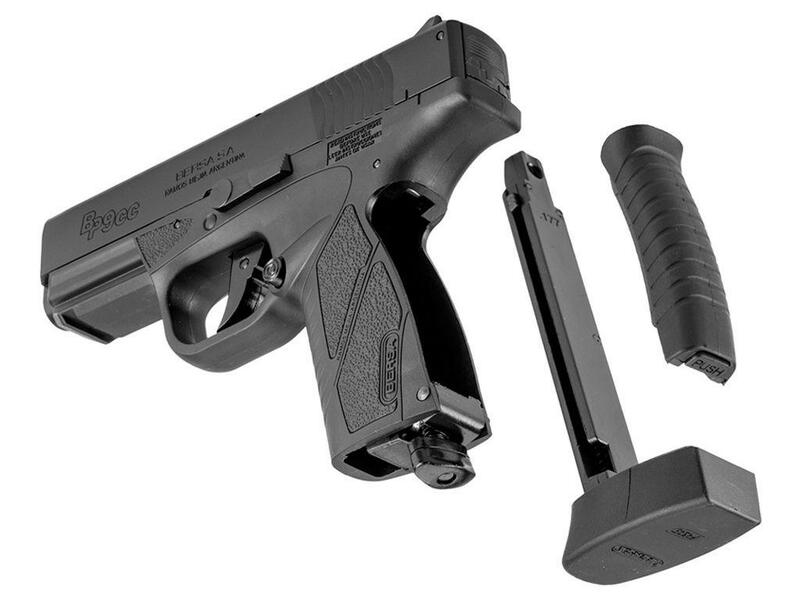 Realism: The ASG Bersa BP9CC BB gun is as close as you can get to the real steel version while still retaining a good overall working airgun, the only real giveaway is the slightly longer but-plate on the magazine (most likely to allow for the CO2 screw tab). 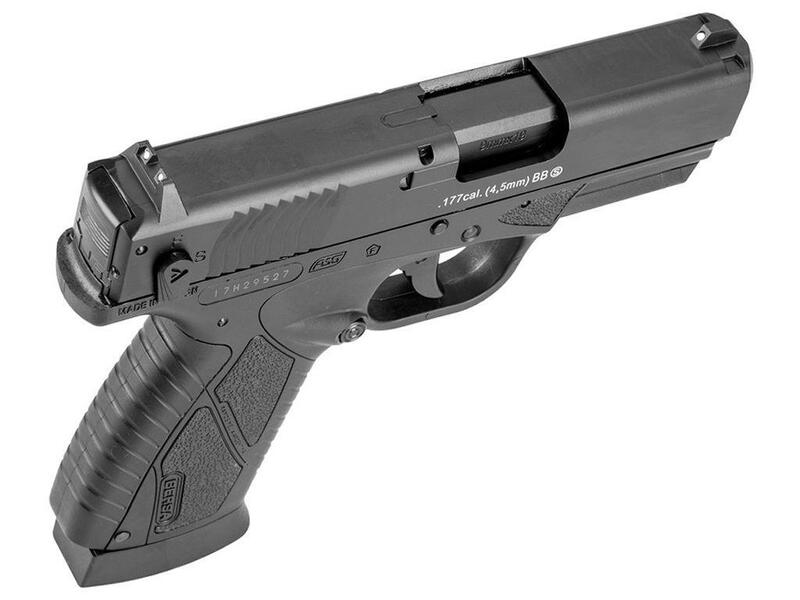 It looks very much like the real deal right down to the licensed Bersa trademarks and the 9x19 caliber markings on the slide and ejection port. 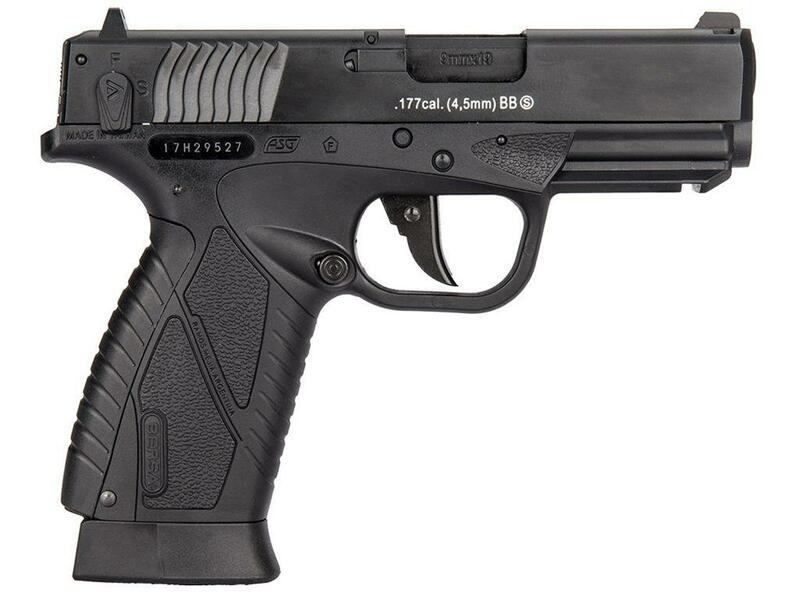 Comments: There are few smaller blowback air pistols that not only look great but perform well; this is one of them! I love the thin profile and overall operation of this pistol. For that very same reason the real steel version is doing exceptionally well here in North America which would make this airgun version a must have for any owners of the 9mm Bersa BP9CC. 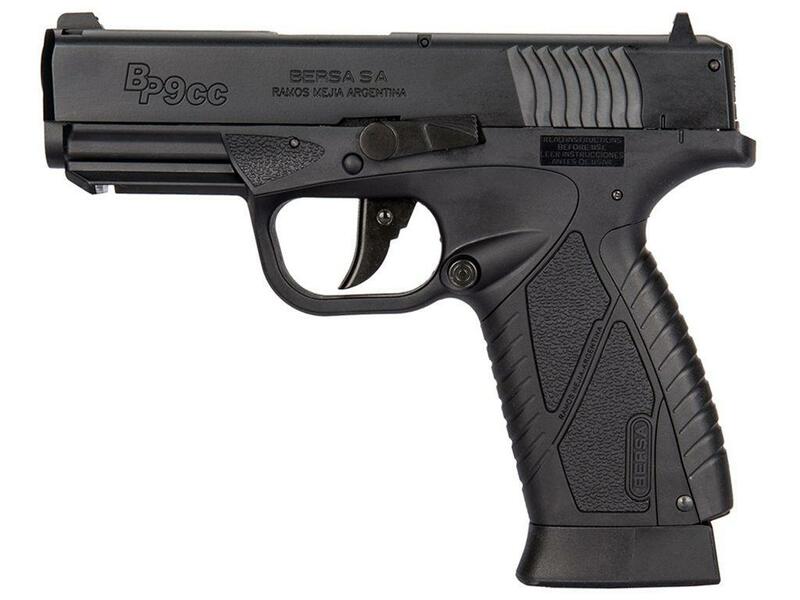 I highly recommend the ASG Bersa BP9CC 4.5mm BB Blowback Pistol to anyone looking for a very good quality and realistic BB pistol that does not compromise performance and build quality. Snappy blow back with a great SA trigger. With good fps I recommend this gun to everyone.